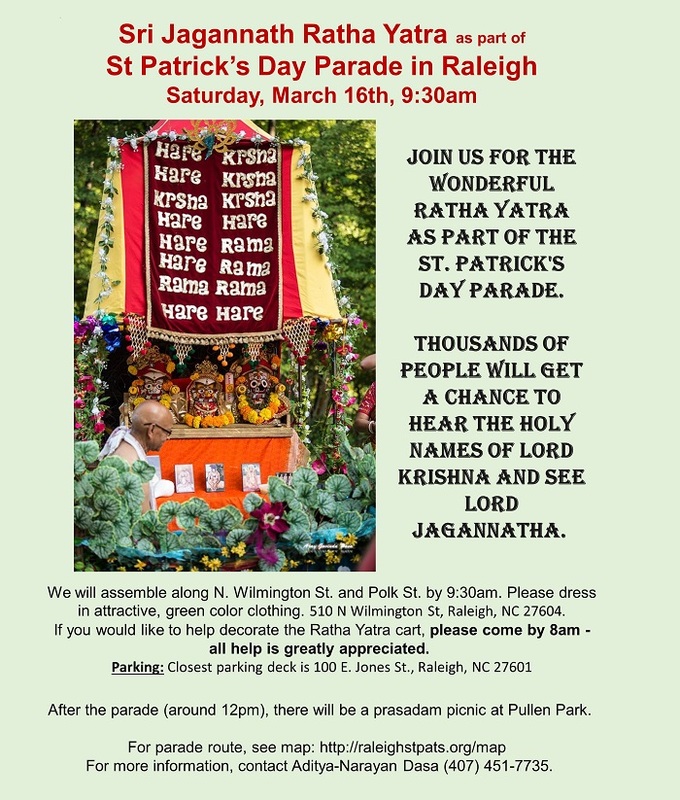 On Saturday March 16th Hare Krishna devotees will be entering two different St Patricks Day Parades: one in Charlotte and another in Raleigh, with Lord Jagannatha; Lord Baladev, and Lady Subhadra on Thier Ratha-Yatra Chariots. There will be Harinam Sankirtan--the chanting of the Hare Krishna Mantra--Hare Krishna Hare Krishna Krishna Krishna Hare Hare Hare Rama Hare Rama Rama Rama Hare Hare. 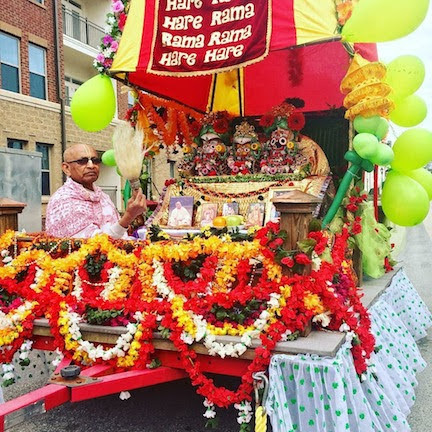 Please do not miss this opportunity to give the Holy names to the tens of thousands of conditioned souls who will be watching the parades in both cities. Hare Krishna.